GP2 Red Shift Knob for R55 R56 R57 R58 R59 MINI Cooper and Cooper S with Manual Transmission. If you have seen the interior of the 2013 GP 2 you will notice this really cool red shift knob with black leather shift boot that has red stitching on it. 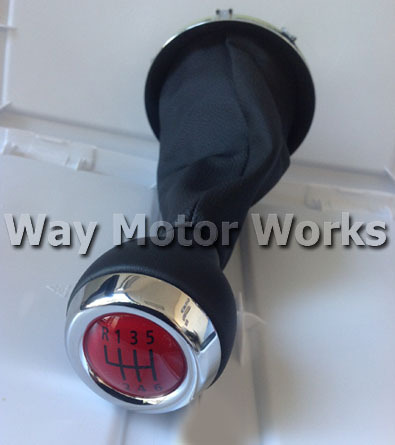 This knob will be a great addition to any other MINI that wants a little more interior style. 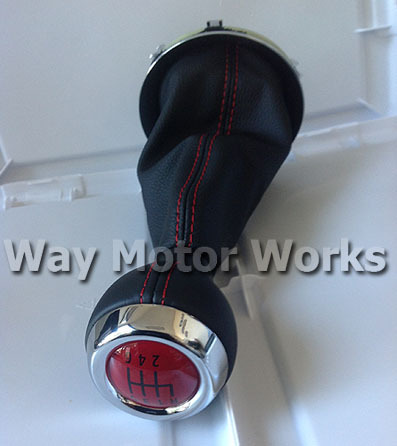 GP 2 Knob includes knob with red top, and black leather red stitched shift boot as seen in pic.